In 2016, United Way Peterborough & District will be adopting the following Leadership Giving Levels in accordance with the United Way Centraide Canada’s recommendation made in 2014. In 2014, Leadership donors contributed 23% of the dollars raised by United Way Peterborough & District, donating more than half a million dollars. We value your gift and work diligently to invest it where it is needed most in the community. By being a Leader you know you are making a meaningful and measurable difference. 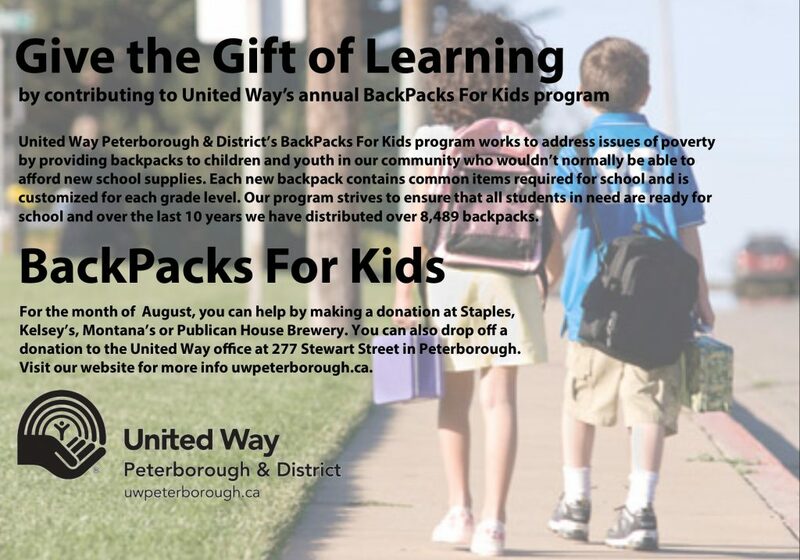 Give the gift of learning by contributing to United Way’s annual BackPacks for Kids program.